The hero shots in golf might seem to be the monster drives and piercing irons that check up next to the pin, but the ones that most affect your scores come within 50 yards of the green. 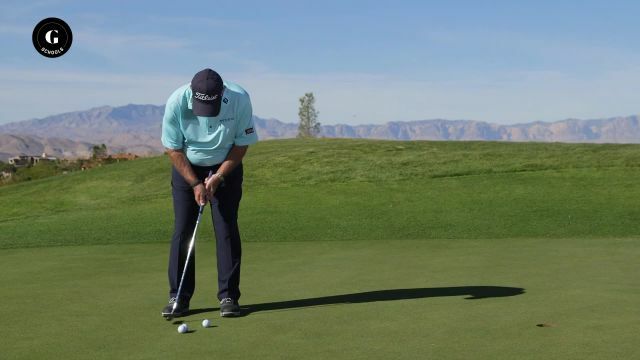 In this six-part video program, Butch Harmon demonstrates what average golfers can do to become proficient with the wedges down to the putter. Butch’s goal throughout the series is to give you one simple takeaway in each area of the short game that will make the biggest difference in your results. Of course, he covers much more than that, but Butch has a way of condensing his instruction into the simplest, most actionable form. He covers pitching, chipping, tough greenside lies and bunker play. He also includes two putting videos, one on long putts and one on those testy short ones you know you should make. And if you’ve got the putting yips, he offers the most creative solution we’ve ever seen. If shooting lower scores is on your radar screen, you’ve got to check out “Butch Harmon: Inside 50 Yards.” Learn the short game in manageable, no-nonsense terms. You’ll come away understanding why Butch has been ranked the No. 1 teacher in golf for nearly two decades.